The two bedrooms upstairs in the house that we are renovating needed to have their door replaced. I figured this would be an easy fix. I didn’t want to have to take the frame out so I went and picked up the slab door for under $40. Essentially this is a blank door. No handle holes. No hinge mortises. And rightfully so, because the existing hinge and latch locations could be different. Seems like a pain in the neck to have to figure all this out. 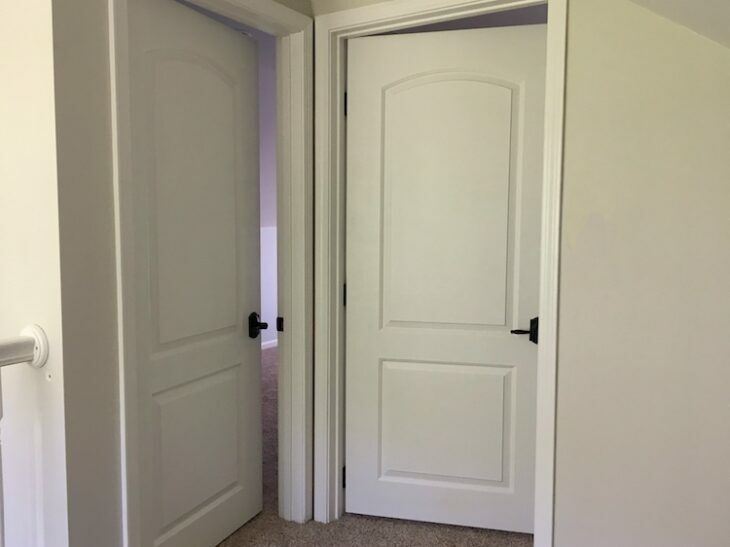 Measure the door width and height and purchase a similarly sized door. Common height for an interior door is 80in but my need to be cut down to accommodate flooring or low ceilings. Then you can start by removing the interior door. 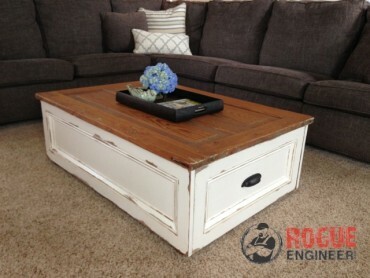 Do so by removing the pins in the hinges. If you intend on using the same handle and hinges you’ll want to remove those from the door as well. I made the mistake of throwing my door out but it would be wise to hold on to it to use as a reference for length. 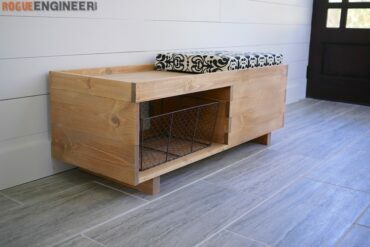 Allow about 1/4″-1/2″ of space between the floor and the bottom of the door and 1/8″ clearance on the sides and top. 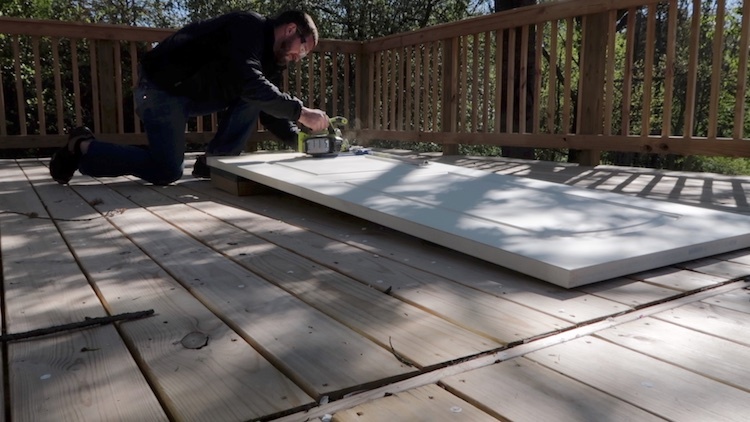 Cut the bottom of the door down to the proper length using a circular saw and straight edge guide if required. If the width needs to be cut down a hand planer is the best tool for the job but sander could work. The trimmed side should be on the hinge side. Place the door in the jamb and shim to locate appropriately. Then, mark the top and bottom of the hinge locations and, using a door hinge template and router, route out the mortises for the hinges. 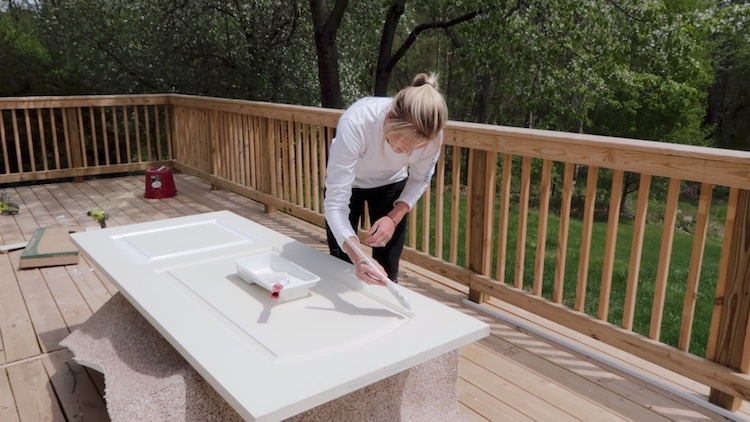 Now is the perfect time to paint the door. It is typical to match the door to the trim paint. 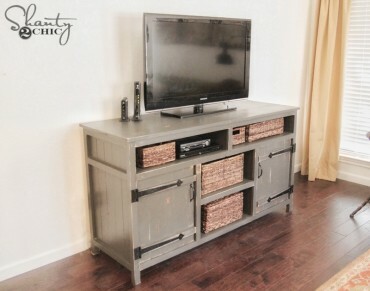 Install the hinges by locating them and drilling pilot holes at each screw location. Then, secure using the screws that came with the hinges. 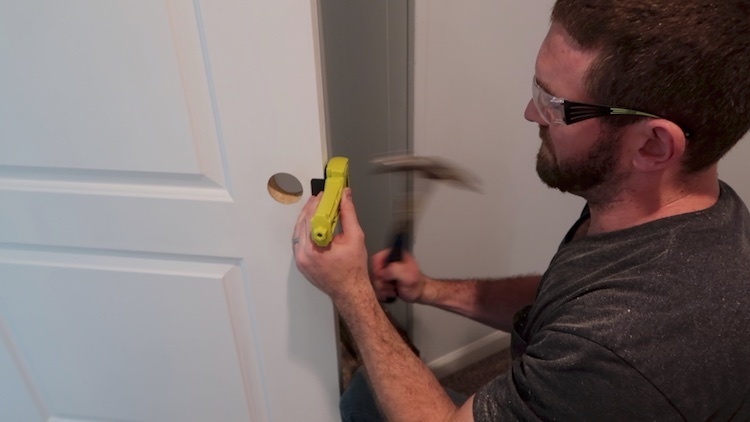 Set the door in place using a shim and secure the other side of the hinge to the door jamb. Using the door lock installation kit, locate the handle position based on the location of the existing strike plate. 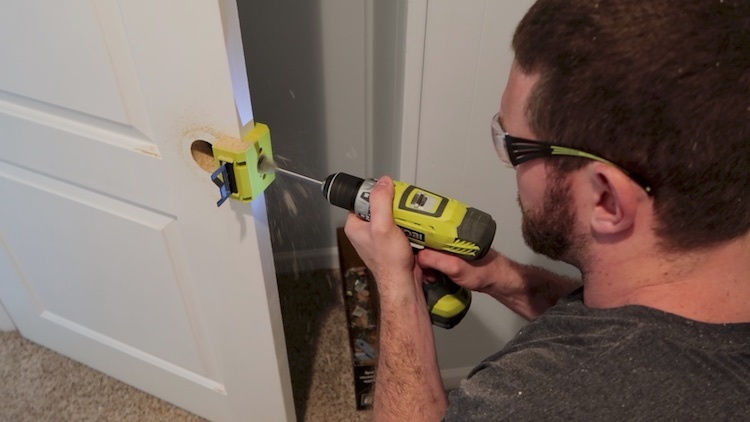 Then secure the door lock installation kit to the door and drill the holes for the handle and latch using the included hole saw and bits. 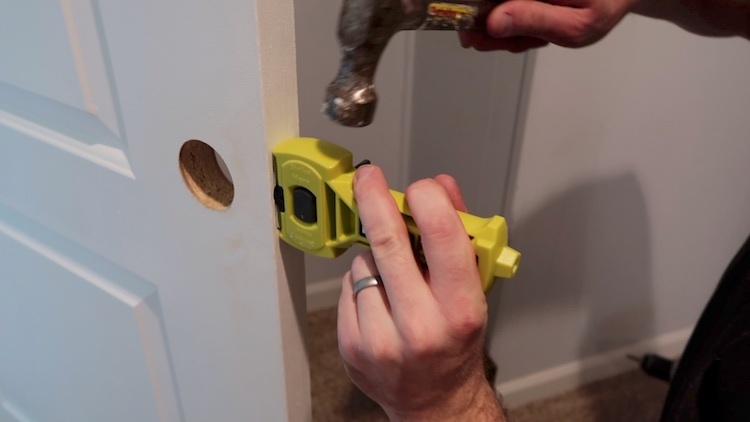 The hole for the handle should be drilled just deep enough that the pilot hole gets drilled all the way through but not the hole saw. Then complete the drilling from the other side to minimize tear out. 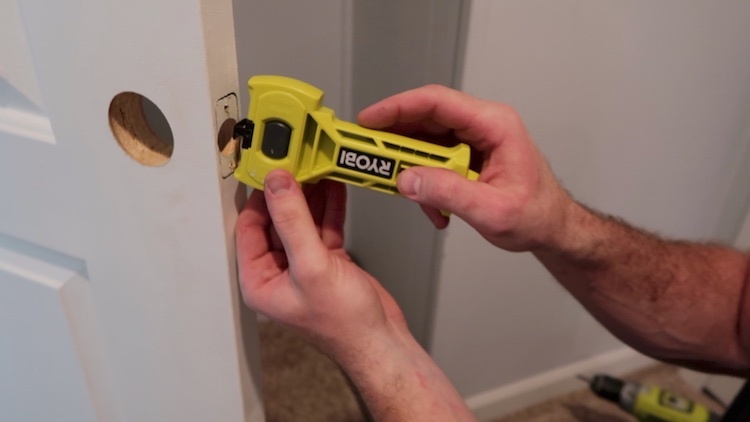 Cutting the mortise for the door latch is much easier than you would expect with the door latch installation kit. Simply hammer in the outline of the latch plate, which is essentially a blade shaped like the profile of the plate (square and rounded options) and chisel away the material with the recessed blade at the top of the tool. Finally, install the door handle and latch and you are done! I was surprised how easy this project actually was and how well it turned out. The positioning worked out perfectly.